This weekend we received some interesting info from a trusted source regarding a device only known, up until now, as ‘Wizpig’. This devices has been in the commits for quite some time, and now we actually have some specs and a few renders that have been provided to Chrome Unboxed. We haven’t written about ‘Wizpig’ mainly due to the fact that the device has been in the repositories months longer than Gabriel and I have really been tracking devices for Chrome Unboxed. Unfortunately, devices that have matured and are close to release tend to slip by as we are looking for new devices in the commits. ‘Wizpig’ is one of those devices. Either way, this is a device like quite a few others getting ready to start showing up around stores and schools this fall. It does, however, have a few tricks up its sleeve that make it a bit unique. From the looks of the info we’ve received, this device is headed to the education sector and will be, at least at the start, a UK exclusive. So, what sets this guy apart? The base of 4GB of RAM with 32GB of storage is a great start. Convertible, Braswell Touchscreen devices with 4GB of RAM aren’t that unique at this point, though. What is unique? A couple things, actually. First, the info we received shows that the device has a spill-resistant keyboard. Sounds similar to what we see in the Acer Chromebook 14 For Work. 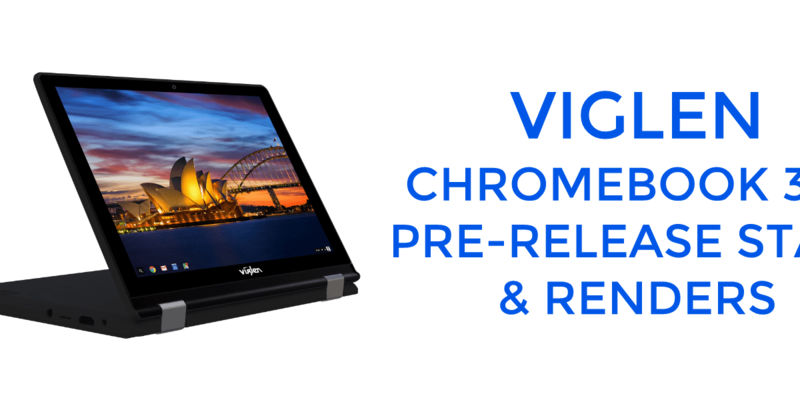 When the Viglen Chromebook 360 truly materializes, we’ll see how it works in real life. We’re also being told the device will have an easily-removable battery. For an education Chromebook, this is a pretty big deal. Of all the things that have a tendency to wear out and fail, the battery takes the cake. The ability to quickly swap out a better version could prove very useful, indeed! Below you can see a few renders of the device. Enjoy those and we’ll be sure to report if/when we find out more about ‘Wizpig’.